ARDEN HILLS, MINN. (Nov. 12, 2018) – Land O’Lakes, Inc. is proud to announce its 2019 Emerging Leaders as part of the cooperative’s efforts to invest in the leaders of tomorrow to identify innovative and practical ways to solve issues facing the agriculture and food industries. The six leaders, college sophomores from six partner universities, were selected from a competitive field of candidates for the fifth class of the Global Food Challenge Emerging Leaders for Food Security™ Program. They will be paired with mentors from Land O’Lakes, Inc. to become ambassadors for the agriculture and food industries. The emerging leaders come from both rural and urban backgrounds and are pursuing degrees in fields from food science to supply chain to biological and agricultural engineering. "I've had the pleasure of seeing former classes of the Global Food Challenge go on to fulfilling professional careers in government relations, supply chain, and agribusiness, and we are thrilled to welcome six new sophomores to Land O'Lakes, Inc. this summer," says Brandi DeVries, Community Relations Manager at Land O’Lakes, Inc. "The Global Food Challenge is about connecting whatever these ambitious students are passionate about and showing them how that can translate into the agriculture industry." Land O’Lakes, Inc., a farmer-owned cooperative, created the Global Food Challenge program in 2014 to engage future leaders in the challenges and opportunities facing agriculture in the future. 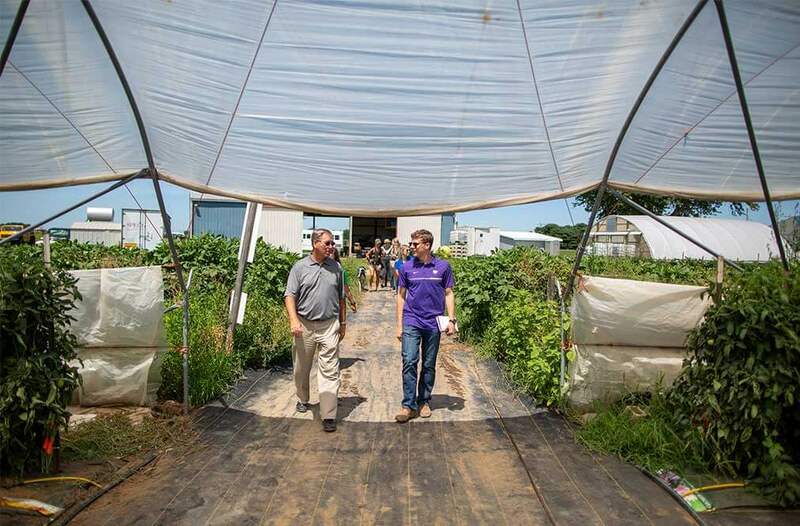 The program has immersed 41 students in the company’s farm-to-fork operations, in areas including supply chain, sustainable food production, IT and agricultural policy. Over the course of the summer of 2019, the six Global Food Challenge Emerging Leaders will be engaged with mentors at Land O’Lakes headquarters in Minneapolis to develop business projects with Purina, WinField United, Dairy Foods and Land O’Lakes SUSTAIN. Students also travel to key locations including Land O’Lakes headquarters in Minnesota, member cooperative and farm locations, international business Villa Crop Protection in South Africa and Land O’Lakes International Development projects in East Africa. Land O’Lakes International Development is a 501(c)(3) nonprofit helping communities around the world build economies by strengthening local agriculture, helping businesses create jobs and linking farmers to markets. Since 1981, Land O’Lakes International Development has implemented over 300 dairy, livestock and crops development programs in nearly 80 countries -- growing farmer, cooperative and commercial businesses along the way. Land O’Lakes, Inc. supports these efforts as part of its enterprise purpose of feeding human progress at home and around the world.